Aw Man! You missed it!! But that's ok! You can still grab the course at it's regular price! Ready to Stop Pulling out your hair while you pin? It's time to take pinning to the next level. Save time so you can get your other tasks done. Finally Rid Yourself of your pinning headache! I understand how overwhelming it is to not know when, where or what you've pinned. Or worse yet, fearing Pinterest will shut you down for spamming. From a fellow "haphazard pinner" who got so frustrated, I didn't have a choice but to figure out a way to get organized. I streamlined my process and decided to share it with the world. Since then, I've helped hundreds of people lose their frustration & have confidence in their manual pinning. I'll show you how to see which boards are best for you, how to use them efficiently and save time! Super easy, even if you've never used Trello before! Create a Pinning Schedule that Actually Works! Stop wasting time guessing and have a plan. Whatever your pinning strategy is, it can be organized. New to the pinning game? Or are you an established blogger with a million pins? I have a solution for all pinners. As a blogger, pins are assets, so laying them out in a structured way and using them effectively is a must! Seeing how Elizebeth organizes her pinning can help anyone who needs more structure to their strategy. My Pinterest strategy was a bit like spitting in the wind. As much as I tried to keep things organized in using Pinterest for blogging, my system was lacking. I lived in fear that Pinterest would shut me down for pinning too many times to group boards or pinning multiple times to my own boards. 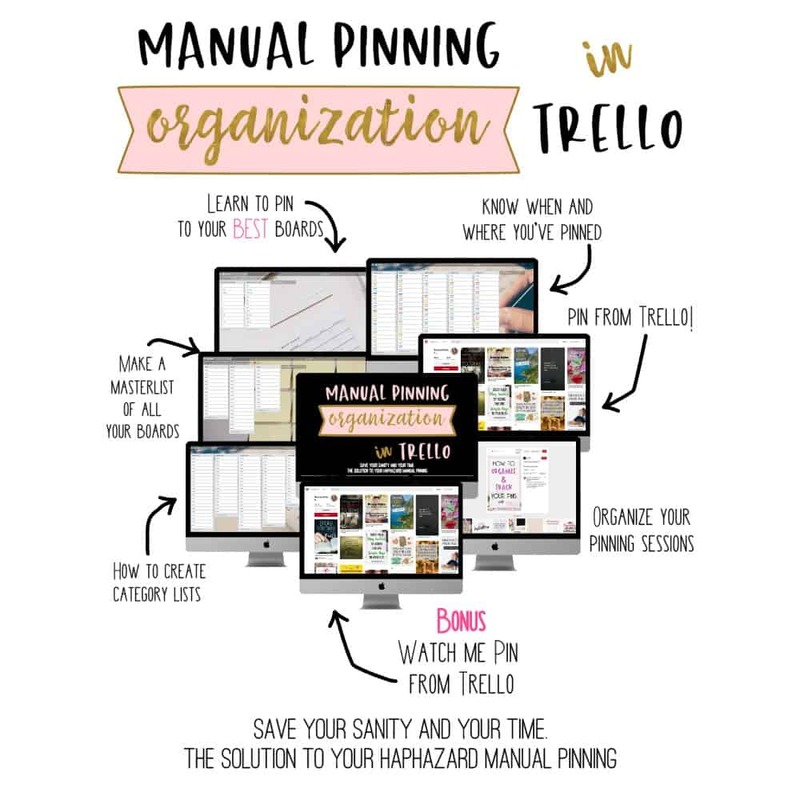 Enter Elizebeth and her Manual Pinning Organization in Trello. Within a day I was able to set it up and start pinning. Gone is the confusion of what to pin, where to pin and how to pin. 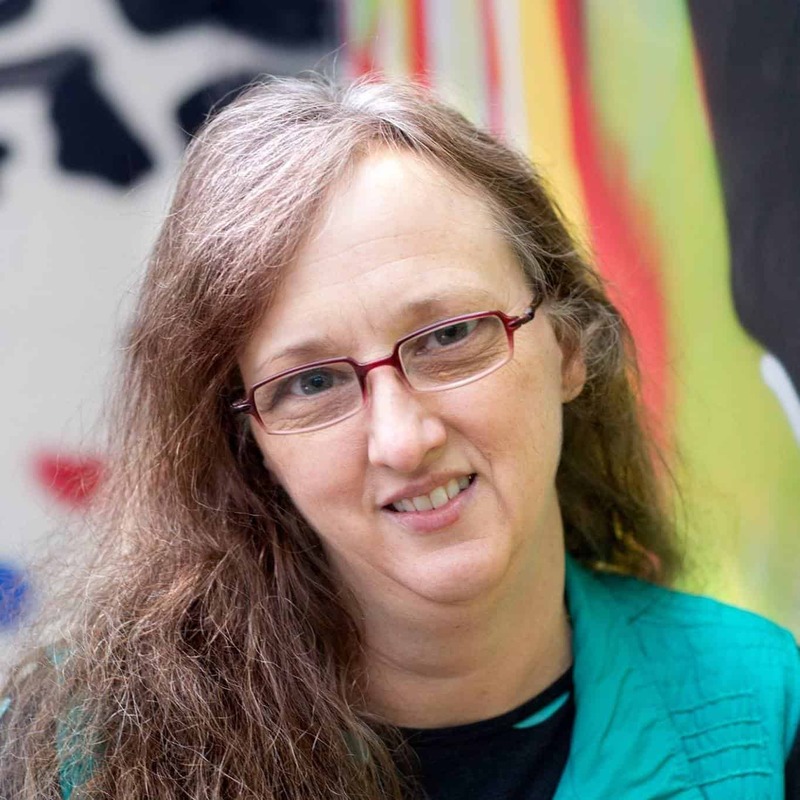 There is no doubt that Elizebeth is a great organizer and this course highlights that. Finally a foolproof way to organize your Pinterest boards. I have taken a lot of blogging courses over the last year and most of them are just the same info you could have found in a google search. THIS course is amazing and informative. I had no idea I could do all of the amazing things demonstrated here. If you want to be on top of your Pinterest game, you need this course! Stop wasting time and start organizing your pins. Leave the frustration and the sighing behind.